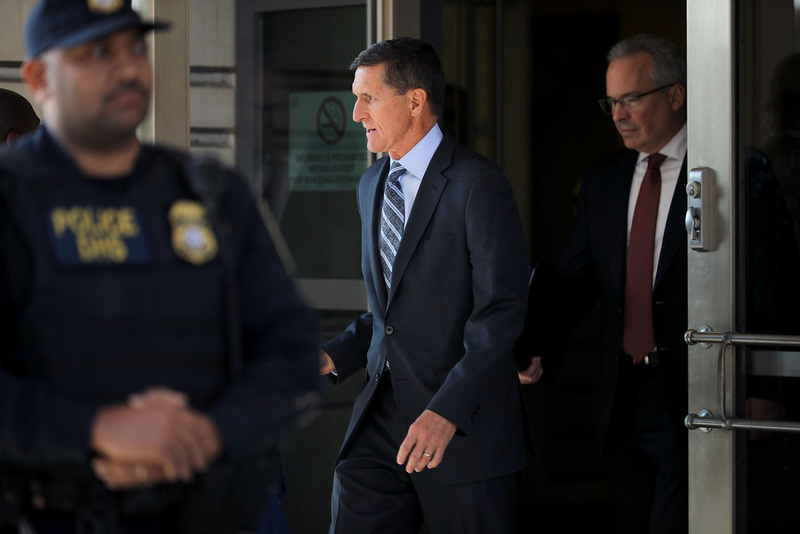 Michael Flynn, former national security advisor to President Donald Trump, leaves following his plea hearing at the Prettyman Federal Courthouse December 1, 2017 in Washington, DC. President Trump’s former national security adviser Michael Flynn pleaded guilty today for lying to the FBI. As part of a plea deal, former national security adviser Michael Flynn has admitted that a senior member of the Trump transition team directed him to make contact with Russian officials in December 2016, according to the AP. ABC News, however, has reported that Flynn actually pointed to President Trump himself as the person that had directed him to reach out to the Russians. The guilty plea makes the retired Army lieutenant general the first person to have actually worked in the Trump White House to face formal charges in the investigation, which is examining possible coordination between Russia and the Trump campaign to influence the outcome of the 2016 election. What are the implications for the ongoing Russian probe?